I don’t know about anyone else, but I am finding the end of school year so hectic and busy. My mind feels like it is about to explode with all the end of term events – discos; concerts; trips; permission slips; so many letters and texts; teacher gifts and cards and the rest of it. 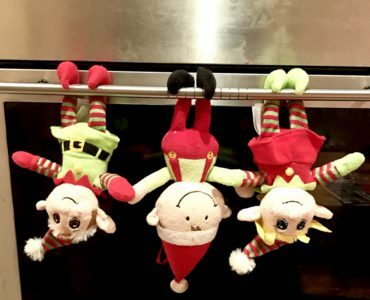 I’m so ready for the holidays… although obviously that comes with its own stresses and juggling acts as we attempt to balance work and children and having fun without spending a fortune. Hopefully this guide will help you with the latter. 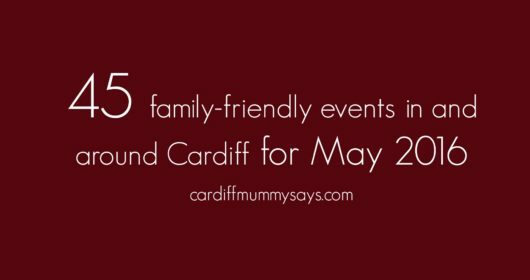 There is so much going on in and around Cardiff over the school holidays. And a lot of it is free or low cost. I hope you find something to inspired you. Please remember all events are subject to change or cancellation so do check ahead to avoid disappointment. 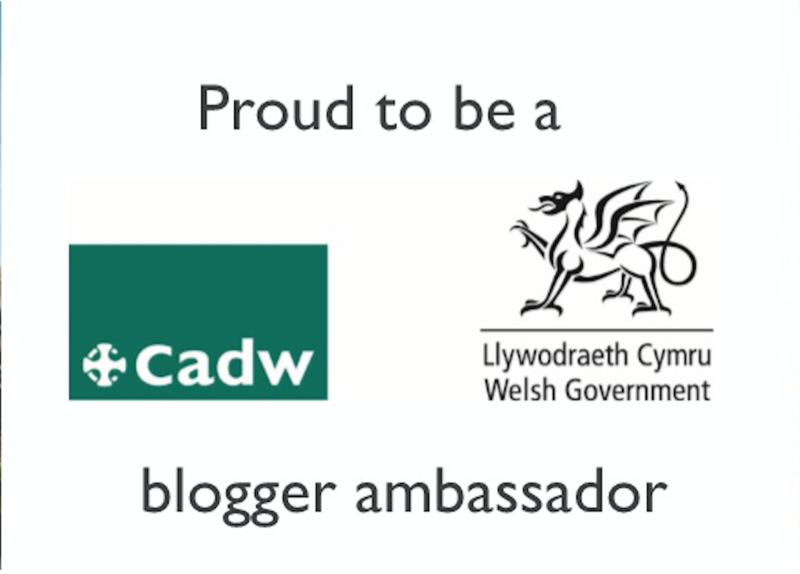 If you found this guide useful perhaps you’d consider making a small donation to my fundraising appeal for Ty Hafan – the children’s hospice for Wales. My children and I are trying to raise £1000 to help Ty Hafan support life-limited children and their families by taking part in a series of running events. You can read more about our mission plus find details of how to donate on the Cardiff Mummy Says JustGiving page. 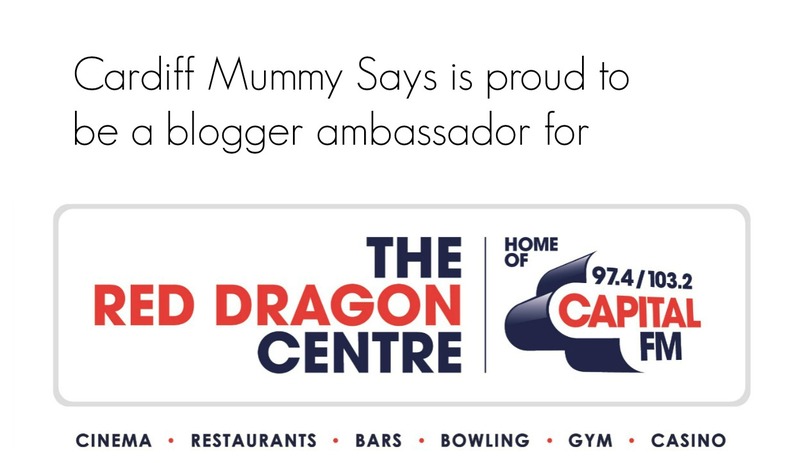 As always I would be so grateful if you could help me out by giving this post a like, a share or comment on social media to ensure Cardiff Mummy Says keeps showing up in people’s timelines. 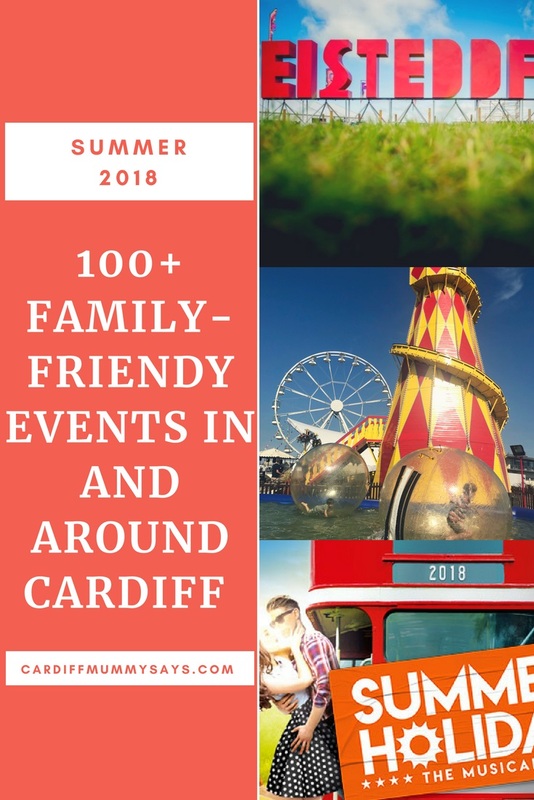 Cardiff Bay Beach Festival is bigger and better this year with a new location and more attractions offering entertainment for families for nine weeks. The new venue means a bigger beach plus new large-scale attractions including a big wheel, roller coaster, big water spraying arches, movie nights and a marquee area offering street food. 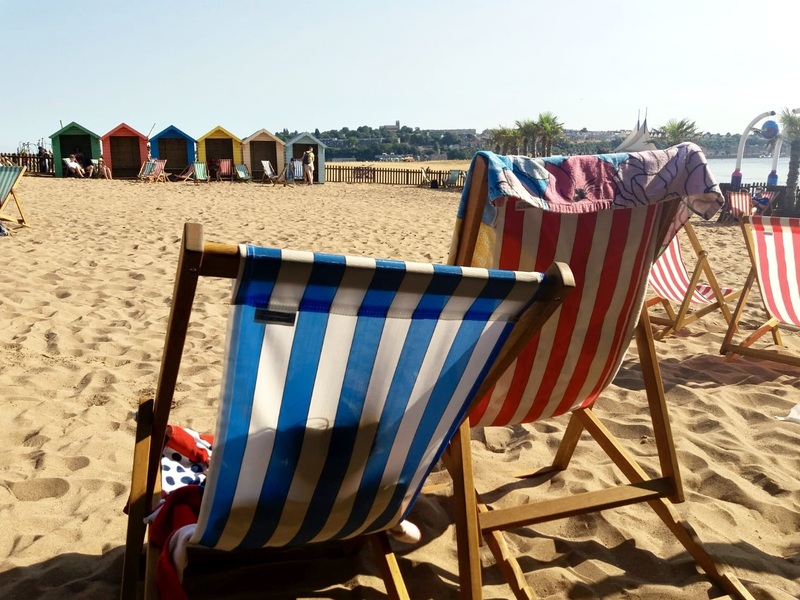 There is no admission fee to enter the Cardiff Bay Beach to use the supplied facilities including the beach water pool and live entertainment but charges apply for other rides, food and drink etc. Alexandra Head is a 10-minute walk from its previous site at Roald Dahl Plass. A free shuttle bus service will run from Mermaid Quay to the beach during the listed opening hours. A family-friendly fete at Barry’s Knap Gardens including a cake stall, BBQ, tombola, animal zone, arts and crafts, bouncy castle, pony rides and more plus the annual duck race (ducks £1 each). 16 thrill-seeking riders, including Great Britain’s double series winner, Tai Woffinden, reigning champ, Jason Doyle, and Cardiff’s 2017 winner, Maciej Janowski, will compete over 23 heats on 500cc bikes with no brakes. The high speed fun begins in the fanzone outside City Hall from 11am, with engines starting in the stadium at 5pm. The magical fire garden returns featuring live music, beautiful street entertainers, fire dance shows from Flame Oz, Lantern Parade and the Viking Ship complete with pirates. New for 2018 is the mesmerising Mechanical Heart by Blacksmith Felicity Jones, a beating heart with light and music. This free three-day programme of screenings and activities celebrates Welsh film and television and the year of the sea. Created by BAFTA Cymru and Vale of Glamorgan Council, working in partnership with Into Film, Film Hub Wales and the National Screen and Sound Archive of Wales present Cinemôr, the event will take place in a tipi on the Barry Island Gardens with capacity limited to 40 per session on a first-come first served basis. 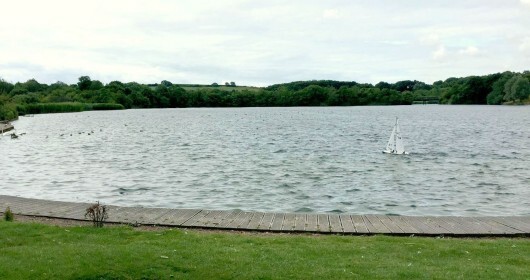 Many of the workshops and film screenings are suitable for families with highlights including a Q&A session with Delyth Thomas who has directed TV series including Hetty Feather, Worst Witch, Tracy Beaker; and hands-on animation drop-in workshops to finding out more about film locations and making your own film sound effects. Two days of sporting activities across the prom and gardens. Saturday features demos and taster sessions from local sports clubs and organisations plus fun from the Council’s Sports Development and Play Team from 12pm-5pm. Sunday includes the all new Brecon Carreg Barry Island 10km run and Family Fun Run starting from 10am. 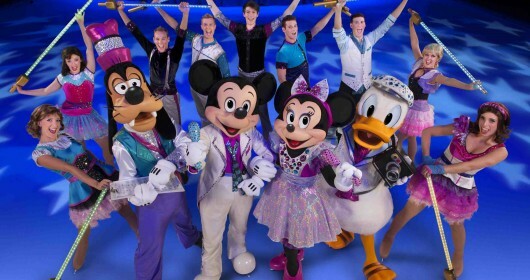 OMG Magic team of world-class magicians will perform amazing interactive magic. Barry Island’s annual two day festival of hip hop will see dancers, DJs, MCs and graffiti writers showcase their skills and battle at the highest standard. Open air cinema on the seafront ET The Extra Terrestrial on Saturday and The Greatest Showman on Sunday. Bring a blanket and/or deckchair and a picnic. Organised activities, games and crafts. All activities £1 or buy a band for £5 and do everything as much as you like. Two bands for £8. Fundraising for Hybu, the young people’s support charity. You can make a dream catcher, face the wheel of horror and the dreaded feely box; face painting, hair braiding, fancy nails, and arts and crafts; a bouncy castle pillow fight. All in your PJs and slippers with prizes for the best dressed, most usual PJs and the best dressed feet. Children MUST be accompanied by an adult. Standard tickets on the day adults £8; children £5.50; family (2+2) £26. 3s and under free. Car parking free. Back by popular demand Margam Park will become a real-life Jurassic Park with dinosaurs to meet and dino-themed events throughout the day. You can meet Rex the life-size baby T-Rex; ‘Tiny’ the Triceratops, believed to be the largest of his kind in Europe on his first visit to Wales; Dexter the life-like 4-metre long feathered, walking, roaring baby Tyrannosaurus rex dinosaur; as well as a newly-hatched Newborn Baby Dinosaur. You can climb inside a giant dinosaur egg which makes for a great photo opportunity; plus a Dinosaur Rescue Centre Show and Dinosaur-y Storytelling. Visitors are welcome to come in dino costumes. Celebrate the indoor/outdoor play centre’s 9th birthday with RSPB mini bug hunts; face painting; colouring competition; a session from The Wonderful Wardrobe; plus prizes if you find the golden tickets. Fun, games and songs inspired by the Disney animated film Moana. Join Captain Jack as he sails in to Parc Play for fun and games. Amazing tricks and skills from the showman. Pony decorating and pony rides. Groom, paint and fuss over Parc’s real life My Little Ponies. Environmental learning specialists Eggseeds bring their unique creative outdoor station to Parc. A fun filled day of unicorns and glitter, including unicorn rides, pamper my pony sessions, meet Spirit The Magical Unicorn, craft and lots more. As well as all the usual farm activities including pet-handling bottle feeding and pig racing Dino Day gives visitors the chance to see amazing realistic-looking dinosaurs. Learn how to tame the Terrific T-Rex and stomp with the Spine Tingling Spinosauraus as they parade through the farm park with their Rangers. Plus fossils, dinosaur games, fun dinosaur facts, and other family dino fun. The annual national celebration of Welsh culture and language comes to Cardiff – see the website for full details of events. Highlights for families include Twmpath (6 August); Cyw a’r Gerddorfa (6/7 August); Y Siwper Stomp (6 August; age 8+); plus Welsh language music and performance; plus performance competitions in the Wales Millennium Centre Some events are individually ticket; a day ticket will provide access to Y Paviliwn; Y Pabell Lên; the theatre and the competitions. A Welsh-language family festival organised by Cylch Meithrin Grangetown a’r Bae. The event will feature DJs and bands, food and drink, craft, a glitter stand, and a corner for younger children to play. The annual agricultural show will feature more than 200 trade stands; food hall stands selling produce which has mostly been grown or made in the Vale; a shopping mall for small traders; a craft fair; horticultural show and a home produce marquee. New for this year is a rabbit show plus there’s also a dog show and cattle and sheep classes in a paddock. Horse Classes run in the main ring from 6.30am until 3pm when there is a spectacular Grand Parade of all the prize-winning animals. Bute Park will be transformed into a Jurassic Kingdom with over 30 interactive, life-sized replica dinosaurs in the first outdoor, touring, animatronic dinosaur experience of its kind to hit the UK. Expect to come face to face with a 26m long Diplodocus and the notorious Tyrannosaurus Rex, while learning about every predator from over 200 million years ago. The creatures come to life before your eyes, with their tails, eyes, heads and arms moving and making you jump with their raging roars. Open Wednesdays to Sundays from 10am till 6pm with final entry at 5pm. When selecting tickets you will be asked to select one of the hourly time slots from 10am to 5pm. Once inside, visitors can stay as long as they like until it closes at 6pm. With all the hustle and bustle of a medieval encampment, music, games, displays and Have-a-go archery activities. A new Tournament of the Knights featuring The Warwick Warriors, colourful tents, noble knights and fascinating falconry demonstrations create a great day of time-travelling and a fabulous family day out. As well as sheep cattle pigs horses ponies and show jumping there’s a pet show you can bring own pet to; a family dog show from Hope Rescue; falcons; archery (free to try); a climbing wall; children’s rides; children’s craft; face painting; vintage machinery and lots more. A chance to meet your local force and find out more about the work they do. St Fagans is free to enter although parking charges apply. The adrenaline-fuelled Extreme Sailing Series™ returns to Cardiff Bay for the seventh consecutive year. The sixth stop on the action-packed global circuit, which spans the Middle East, Europe and the Americas, Cardiff will play host to a fleet of elite-level international sailing teams. They include British squad, Land Rover BAR Academy, whose crew are mentored by senior members of Sir Ben Ainslie’s America’s Cup team. Free-to-enter, the event will also provide shoreside entertainment for the whole family during the August bank holiday weekend, including fun activities, food stalls, bars and live music. Green fingered children wanted! The Red Dragon Centre’s next RDC Eco Kids event will be held on Bank Holiday Monday 27th August. Between 12-4pm plant your own cress seeds to take home in your own decorated cup. Plenty of fun to enjoy alongside all the Centre’s yummy restaurants, cinema, and bowling alley. Usual parking terms and minimum spend applies. 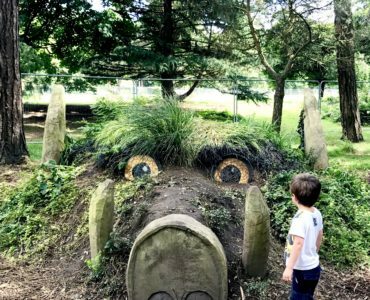 One hundred acres of free range fun including Wales’s only licensed Gruffalo trail, a magical fairy forest, Hobbit Hill, den building, a unicorn, rope tree swings, a climbing tree, an adventure play area and more. Check out the Facebook page for weekend and school holiday extra events such as a walk with the funny goats; Ranch story; and space hopper races. For the over 7s there’s a high ropes course (book online for 25% discount). Read our review of Mountain View Ranch here. Grab an ID sheet, or download the app, and find your favourite spot in the gardens to sit whilst you count the different butterflies and moths that flutter past. The event is free but usual entrance fees apply or free to members. Learn more about the magical underwater world by pond dipping and using an underwater camera to see the creatures living in the ponds and lagoons. The session also includes some games and sand sculptures to celebrate the fresh water and marine wildlife that is so special to the area. The Gwent Levels are home to some famous prehistoric footprints on the coastline. The day will involve making pots, a scavenger hunt, a ‘dino dig,’ casting footprints and fossils, building mud huts and more. Messy fun with stone age activities, making clay pots and decorating them, doing a dino dig, making a fossil cast, a mud hut and creating your own muddy footprints, just like those found on the shore of the Severn Estuary. There will be stone age songs and stories too – suitable for 5s and under. Put on your party clothes (stripy tights, butterfly wings, moth masks) and head out on the reserve to find as many different pollinators as possible. Making some bee hotels to take home to our own gardens or local green spaces. Plus fun with the buzzy bee game. Dress up as your favourite pollinator to celebrate these special creatures with stories, songs and fun games. Plus catch some pollinators for everyone to look at. Sleep under the stars at Newport Wetlands. The event includes cooking around the campfire; pond dipping and minibeast hunts; a guided tour of the night sky from Usk Astronomers in their planetarium, before looking into the universe when the sky is dark; make moth traps; set off on a nocturnal excursion armed with bat detectors; then relax around the campfire with toasted marshmallows and a shooting star spotting competition plus looking through the telescope to see what can be discovered. After a night’s sleep under canvas awake to the sound of birdsong; see what has been caught overnight; followed by an early morning bird walk. Stories and songs about slithering snakes, and lots of hands-on activities about the reptiles and amphibians found on the reserve. Use a bat detector to search for the bats that come out at dusk to feed. You’ll also help use a moth trap, wine roping and sugaring to see what species of moth you can catch and identify throughout the evening. There will be a bonfire with toasted marshmallows and hot chocolate. Join the Rangers and have a go at pond dipping. What underwater creatures will you find living in the murky depths of Bryngarw’s pond? Toddler Tuesdays will also see extra events laid on for pre-schoolers. Wednesday 8 August – Stick Man Day – Greenemeadow is a custodians of one of the few official Social Farms and Gardens Stick Man Trails with this day dedicated to celebrating the favourite character. Wednesday 22nd August – Mythical Creatures (Unicorns & Dragons) – back by popular demand following last year’s success. Activities include Unicorn Walkabout, Dragon Bathing and more. Wednesday 29 August – Tractor Ted – Join the Tractor Ted team for some Ted inspired fun. A chance to join in with the farm’s free range egg production. Participants will meet and hold a chick, feed them, collect their eggs then wash, dry and stamp them ready to put in your personalised box to take home. Any adults supervising do not need tickets, although adults are welcome to pay to participate. Activities include magical tractor rides (£1 per person); enchanting wishing tree; make your own fairy soup; magical creatures fancy dress competition; gnome and fairy trail; face paints and bouncy castles (prices vary); paint your own fairy door or mini gnome to take home (£5 – must be pre-booked). A day to celebrate grandparents. Free activities on site (to be confirmed) plys face painting and bouncy castle (charges apply). Plus an offer of tea/coffee and cake for £3 at The Farm Kitchen. Bring a teddy for a day of specially-themed activities including: Teddy Bear Trail; Teddy Bear Welfare check up and certificate with map to the secret woods (£1.50); Teddy Tractor rides (£1); face painter and bouncy castle (prices vary); Happy Hands Music and Movement with your Teddy Bear ( 0-5 yrs old, siblings welcome; book here ; Flour’d up Wood Fired Pizzas will be on site. A full programme of events during the holiday – too much to list here so check the website for details. Highlights include slime workshops pond dipping themed craft sessions storytelling and have-a-go-archery. Welsh language bat walks Tuesday 7 or 21 August subject to interest. See website for booking details. Enjoy a day out with the talented team from Pembrokeshire Falconry. Learn about hunting with birds, as well as why owls are so silent in flight. There will be photo opportunities throughout the day for a small additional charge. The birds may be viewed throughout the day when not flying. Flying displays will be at 12pm and 3pm. 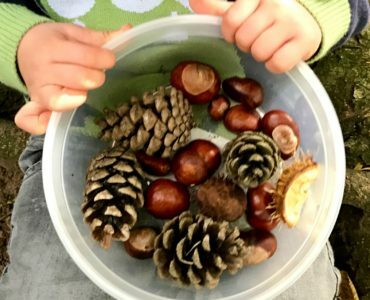 A summer filled with bugs, beasts, paints and crafts with mini rangers at Cwmcarn Forest. Each Wednesday stroll around the valley looking at beasts and bits and try our hand at making a little something to take home. Sensible shoes required. Try your hand at fishing, building and searching for beasts and bugs, topped off with a little craft work to take home . Sturdy shoes and old clothes are advisable. Messy crafty fun for little ones in these Tiny Tots sessions. Make a colourful ‘hot air balloon’ using paper plates and cups and as much colourful crafty bits as you can squeeze on. Help find the missing Professor Anna Saurus, who was last seen heading off into the valley in search of the hidden T-Rex eggs. Put on your best explorer boots and follow the trail to claim your prize. Make your very own dino eggs. Guaranteed to be messy. Bring a little magic into your lives with these gorgeous decorated jars filled with beautiful Fairy Dust. Just bring along your own jam jar and decorate with lots of glitter and paint, then make your own fairy dust to complete this little gem! Can you make the elusive Whoop-a-doop bird of the Cwmcarn Valley? Legend has it that this little bird is brightly coloured with a strange call…and has only been seen by Ranger Mc Liar. Get your hands dirty in this fun workshop and create a clay model of this infamous bird and decorate it with as much glitz and feathers as you can fit on. Join the team at Bute Park and see what creatures you can catch in the River Taff using nets and getting up close with magnifying glasses. All equipment supplied. Wellies or beach sandals are needed to protect your feet. Help build a shelter in the woods, make a fire and roast some marshmallows! Hunt for bugs in the ponds, meadows and woods of Porthkerry. Explore the sea shore and rook pools of the pebbly beach at Porthkerry looking for crabs and other sea creatures. Step back in time and meet a villager, learn about their life, the plague, punishment, and have a go at making bread and holding weapons and making clay tiles and candles. Green fingered children wanted for The Red Dragon Centre’s next RDC Eco Kids event. Plant your own cress seeds to take home in your own decorated cup. Plenty of fun to enjoy alongside all the Centre’s restaurants, cinema, and bowling alley. Free parking for visitors subject to minimum term and ticket validation. 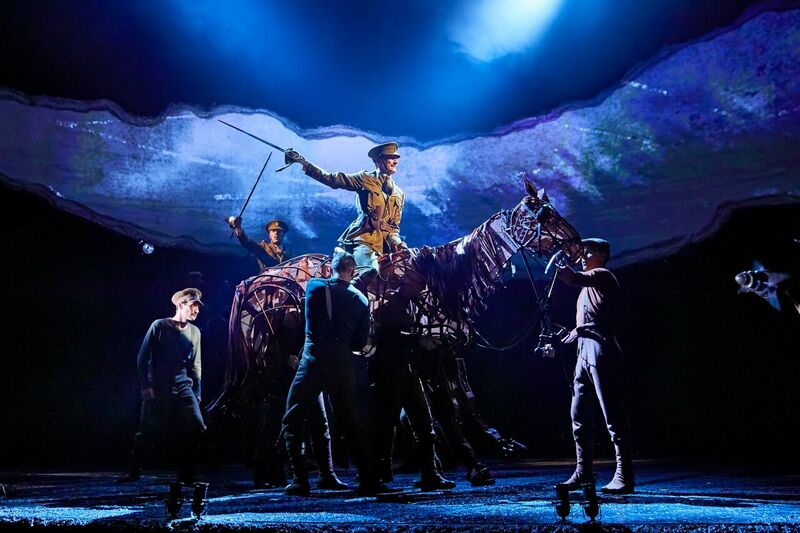 Based on Michael Morpurgo’s best-selling novel War Horse returns to Wales following a sell-out season in 2014. The West End smash is a powerfully moving and imaginative drama, filled with stirring music and songs. A show of phenomenal inventiveness at its heart is astonishing life-sized horses by South Africa’s Handspring Puppet Company, who bring breathing, galloping, charging horses to thrilling life on stage. War Horse is an unforgettable theatrical event which takes audiences on an extraordinary journey from the fields of rural Devon to the trenches of First World War France. Read my review here. Only Boys Aloud uses choral singing as a catalyst to effect positive change amongst teenage boys across Wales. The Academi comprises of 32 of the older OBA boys who show particular musical promise. This performance is the result of an intensive residential summer school where the boys are challenged, encouraged and supported to do more and better. This year’s Family Prom celebrates the wonders of the animal kingdom with all creatures great and small covered in this powerful performance from Cardiff Philharmonic Orchestra. Saint-Saëns’ famous Carnival of the Animals forms a fascinating centre-piece to the programme as the music evokes images of beastly bears, crazy kangaroos and enormous elephants all rampaging across the stage at the National Concert Hall of Wales! Plus, opening and closing this really wild show are family favourites from The Lion King and The Jungle Book. Special guest narrator for the afternoon is the children’s TV presenter, Josie d’Arby. 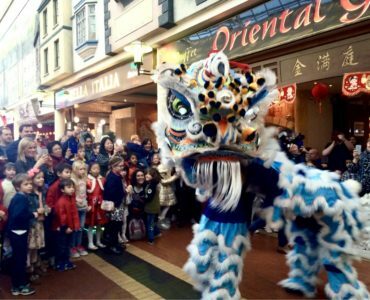 There’s also fun pre-concert activities from 1pm in the foyers including face-painting, hula-hooping, photo ops, instrument demonstrations and live performances. Direct from London’s West End where it is now in its record breaking 9th year, Thriller Live is a spectacular concert created to celebrate the career of the world’s greatest entertainer. Audiences will experience over two hours of non-stop hits as the cast pay homage to Jackson’s legendary live performances and innovative dance moves executed with flair, precision and passion. Songs include I Want You Back, ABC, Can You Feel It, Off The Wall, The Way You Make Me Feel, Smooth Criminal, Beat It, Billie Jean, Dirty Diana, Bad, Rock With You, They Don’t Care About Us, Dangerous and Thriller plus more. The madcap world of Dr Seuss comes to the stage this summer as Cardiff Open Air Theatre Festival stages Seussical Jr, an unforgettable musical caper featuring some of the author’s most famous characters. BillBoard Ensemble presents Sister Act, the popular comedy musical based on the 1992 film about lounge singer Deloris who sees her mobster beau commit murder. Relocated to a convent and disguised as a nun for her protection she transforms the failing choir into a polished group performing soulful and rock’n’roll infused hymns and pop songs that son gain them international attention. 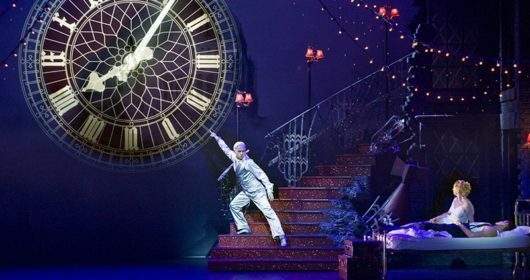 Immersion Theatre invite audiences to Neverland as they present a musical stage adaptation of the little boy who doesn’t want to grow up – Peter Pan. The mischievous Peter embarks on a big adventure, introducing the Darling children to the Lost Boys, the cheeky Tinkerbell, the hilarious Smee, and a host of other exciting characters before facing the infamous Captain Hook. Pirate Pearl lives with her crusty old crew, Barnacle the dog and Mr Puskins the cat. One day, Pearl finds a stowaway onboard ship. It’s a baby monster, but baby monsters grow into big clumsy monsters. Featuring songs, puppets and live music. A fishy tail of magic and adventure, Ned and the Whale will scoop you up and sail you away on a quest to help Ned find his courage, and discover the truth behind the mysterious Kingdom of Spies. Following on from their other hugely popular family shows of ‘The Curiosity Shop’ and ‘The Legendary Adventure of Litla the Brave’, Flossy and Boo bring you another spellbinding show that allows you to leap fearlessly into the far reaches of your imagination, with their own magical and bizarre brand of storytelling. See the Arts and Crafts section below for details of accompanying recycled material workshops. Join Bing, Sula, Coco and Pando as they learn how to tell stories by pretending, dressing-up and singing songs. Flop and Amma are there to help, but in this magical world of make-believe things don’t always go according to plan. The CBeebies favourites are brought to life in a new stage production full of fun, laughter, music and magical puppetry. One wild and windy night the Gruffalo’s Child ignores her father’s warnings about the Big Bad Mouse and tiptoes out into the deep dark wood. She follows snowy tracks and encounters mysterious creatures – but the Big Bad Mouse doesn’t really exist… does he? Tall Stories bring Julia Donaldson and Axel Scheffler’s much-loved picture book to the stage. The NYCW is proud to welcome former member, and acclaimed choral conductor, Tim Rhys-Evans to conduct the choir for the first time. Performing a range of fantastic music, the combined musicianship and energy of Tim and this generation of Wales’ finest choral singers promises a concert not to be missed. For the first time in their combined history, Wales’ National Youth Choir and Orchestra join together to celebrate Leonard Bernstein’s Centenary with a performance of his beautiful Chichester Psalms. The second half belongs to the Orchestra who take on Mahler’s epic 5th Symphony. Both works will be delivered under the guidance of Maestro Rizzi who continues his fruitful association with the Orchestra. The hit iconic 1960s film starring Cliff Richard comes to the stage in a feel-good musical as a group of boys head off on a London bus to visit ParisThe Alps, Italy and Greece, in search of a good time and a brilliant summer. Starring Ray Quinn as Don (the part played by Cliff) expect fun, laughter, hit songs, and of course romance, as along the way they meet and travel around Europe with a girl band and a young American pop star who is running away from home. Experience the iconic music of The Beatles with the spectacular new concert jam-packed with over 40 of their greatest hits! Direct from the West End, this international hit show celebrates the legacy of the world’s greatest rock ‘n’ roll band from their humble beginnings to the heights of Beatlemania with live performances of early tracks including Twist and Shout and She Loves You as well as global mega-hits Yesterday, Hey Jude, Come Together and, of course, Let It Be. It’s Pirate Day in Adventure Bay, and Mayor Goodway is getting ready for a big celebration. But first, Ryder and his team of pirate pups must rescue Cap’n Turbot from a mysterious cavern. The pups will need all paws on deck for this pirate adventure, including some help from the newest pup, Tracker. Under 12 months go free if they are sitting on a parent’s lap. Following its smash hit runs in London’s West End, Bill Kenwright’s production of Andrew Lloyd Webber and Tim Rice’s Evita comes to Cardiff on its UK tour. Telling the story of Eva Peron, wife of former Argentine dictator Juan Peron, Evita follows Eva’s journey from humble beginnings through to extraordinary wealth, power and iconic status which ultimately lead her to be heralded as the ‘spiritual leader of the nation’ by the Argentine people. It features some of the most iconic songs in musical theatre, including Don’t Cry For Me Argentina, On This Night of a Thousand Stars, You Must Love Me, and Another Suitcase in Another Hall. Arts and crafts activities for all ages. Activity changes weekly. The Cardiff Story Museum is free to visit. Read our review here. Are you the next Claude Monet or Frida Kahlo? Come and show your painting skills at the Centre this Saturday. Create a three-dimensional fact-book filled with all your interesting interests to take home to show to all your friends! Travel the world and discover its abundance of animals. Come and create Madagascan Monkeys or a squirrel from the Wirral. 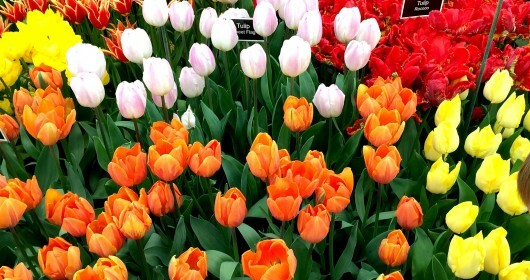 Discover all the fantastic flowers and plants of the world. Create dazzling daisies and forgotten forests. Discover what’s unique about each country as the centre celebrates ancient traditions and fantastic foods. 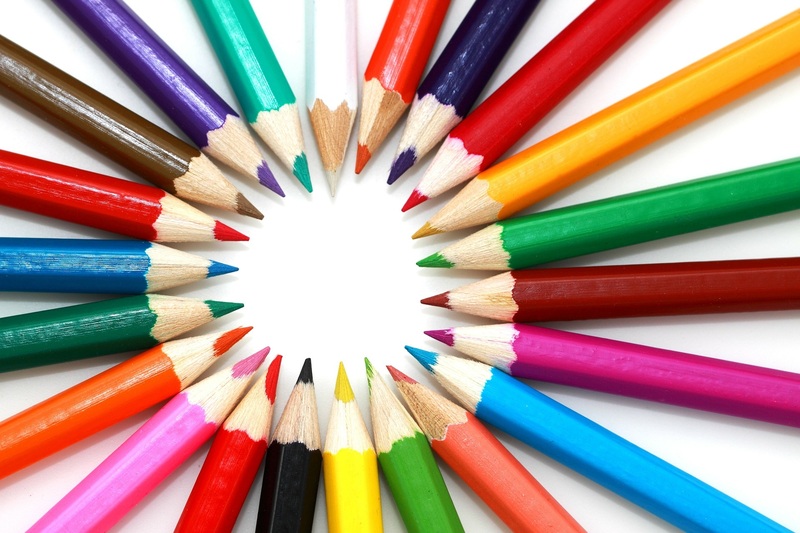 Arts and crafts activities every Monday during local school holidays. Pirates Friday 27 July – make and take a hook hand, map and mini pirate boat. Dino Craft Friday 3 August – excavate a dinosaur from ice and create a fossil necklace. Rockets Friday 10 August – create a rocket and test how far it will fly. See Museums and Historical section below for Hands-on History events. All prices per child; no adult tickets required but one adult per child due to space. Must be pre-booked. The theme this summer is ‘jungle through time’. Use a ceramic pen and a peel-off dinosaur motif and take your unique mug straight home to be set in the oven to make it permanent! A creative, crafty workshop using paper plates, sticky-back plastic, assorted coloured tissue paper, pipe cleaner and wool to create a beautiful sun catcher. Come face to face with a variety of animals and creatures from around the world and learn all about them. Make six jungle animal friends on lolly-pop sticks to sit in your plant pots back home. Use a plastic fish bowl to create a really wild world for your 2 mini-dino’s to live in! Made with a long sock, rubber bands, googly eyes, pipe cleaner, stuffing – no sewing required. Create your very own Zoe the zebra Plant pot. Get crafty making your zebra pot and then plant some special seeds inside to grow Zoe some herby-Hair. Make some unusual creatures out of recycled materials. From birds in the sky to swamp monsters from the deep, the possibilities are endless. Capacity is limited so book early! See Theatre section for Flossy and Boo’s show Ned and the Whale at 1pm each day. Adults £13; children 5-15 £9.25; family (2+2) £38; under 5s free. Free to Castle Key* or season ticket holders. Follow the knights back in time to the days of valour and chivalry. Fierce, full-on combat and archery displays, plus your chance to hit the target in the ‘have-a-go archery’ sessions. *If you live or work in Cardiff you can apply for a Castle Key which gives free admission to the castle for three years for an administration charge of £6.50 per Castle Key card issued. There is no charge for children (under 16). Under 5s do not need a key. The daily life and duties of a Cistercian monk at Tintern Abbey in the 14th Century. Brother Thomas will tell you all about his life as a monk at Tintern Abbey with inside information about the monks’ rituals and responsibilities. You will learn about the daily life of the monks at the abbey, including their monastic duties, hygiene and eating habits, as well as the numerous religious services they would have to attend throughout the day. Brother Thomas will be available from 10am until 4pm, and will give tours at 11am, 1pm and 3pm. To commemorate the 100th anniversary of the end of World War 1 come and learn more about life of cavalry troops, nurses and civilians during the conflict! Take part in the museum’s poppy trail this summer. 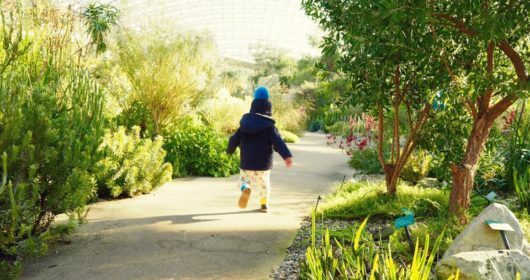 Find your way around the galleries taking in some Welsh nature and amazing artworks as you follow a fun family flower trail. A hands-on workshop using printmaking techniques to make a poster for peace. This workshop goes alongside the exhibition Poppies for Remembrance which looks at the poppy in the natural world, as medicine, and how it came to be a symbol of remembrance. It also encourages reflection on the suffering and loss that took place during the First World War as well as in more recent conflicts. A very special sleepover packed full of exciting dino experiences. Guests will take a torch lit tour to explore Wales as it was 200 million years ago; meet some friendly dinosaurs and watch their eggs hatch in a dino-show to remember; get creative with craft workshops inspired by fossils, footprints and bones from the Museum’s collection; enjoy a snack box and hot chocolate with a choice of extras from the toppings station; watch a film before bed; camp under the dome to dream of ancient lands filled with fabulous beasts; wake up bright and early for breakfast together before you head back to life in the 21st century. Must be pre-booked. In Japan Obon is an important festival which celebrates the spirits of the dead coming back to be reunited with their families. Paper lanterns are lit to help guide the spirits home or to their resting place. In these family workshops you will visit the Kizuna exhibition, make and decorate an Obon lantern, and try floating it on our indoor ‘river’. The Winding House is a museum built on the site of the former Elliot Colliery. Its centre-piece is the original Victorian winding engine, which used to operate the cages which transported men and coal between the surface and the mine below. Visitors can see the huge engine in operation for 10-15 minutes at 12pm on the last Saturday of the month. Raglan’s 5th Tudor weekend led by the Beaufort Companye and their esteemed friends from the Wars of the Roses Federation. Living history displays, re-enactments plus plenty of Tudor themed fun make up this ever popular festival. A living history weekend to discover what life was like at Chepstow Castle 900 years ago. Become a pirate by learning to sword fight like one, learn how to escape from Treasure Island, take part in a treasure trail, raft building and more. Tours are available from 10am. Pre-booking is recommended. All children get a FREE ice cream with their tour ticket. Story-telling sessions 11.40am, 1.10pm, 2.40pm and 3.40pm. Book a Royal Mint Experience tour at any time on the day and get free access to both activities, before or after your tour. Please allow up to 90 minutes for your tour. Wednesday 25 July – The Daily Grind. Test two ancient ways of grinding grain into flour. Wednesday 1 August – Great Games. Have a go at some popular games from ancient to modern times. Wednesday 8 August – Roman Doctor. Find out more about 2000 year old medicine and surgery. Wednesday 15 August – Medieval Arms and Armour. Feel the weight of armour in the middle ages. A living history weekend and discover what life was like at Chepstow Castle 900 years ago. A weekend of all things Tudor led by the Beaufort Companye and their esteemed friends from the Wars of the Roses Federation. Living history displays, re-enactments plus plenty of Tudor themed fun make up this ever popular festival. Discover the roles of women behind the workforce at Aberdulais, including their home and family life, and offering you the chance to get stuck in. Weekdays will see self-led activities offering a chance to sample Victorian life and see how families spent time together. Have a go at playing hopscotch, quoits or see who’s got the skill for cup and ball. Tin worker, seamstress, home-maker, mother, cook, teacher… discover the women behind the workforce and their crucial role to the rise of the tinworks industry. The exhibition will give you a flavour of the daily demands facing women during the tinworks boom and decline. Learn how to brighten up your home the good ol’ fashioned way by creating some hand-made traditional crafts at a Victorian home workshop. Forget gruel and oatmeal – try your hand at making some traditional sweet treats, learn how to make a ‘proper’ cup of tea, take home some Victorian recipes to try or get green fingered learning how to grow your own garden. A range of family activities throughout August including trails, crafts and soft play – more information to be announced soon. The museum is free to visit including the underground tour of the mine – read our review here. Drop into these fun family craft activities and make something to take home. Get up close and personal to a variety of birds of prey, and find out about their role in medieval falconry. Watch falconry displays throughout the day and learn more about these fabulous birds. There will be opportunities for supervised handling and photos. Please note that there is an extra charge for this. Return of the successful World War Two themed event centred on Blaenavon Ironworks. Enjoy living history displays, weapon displays and music, painting a vivid picture of life during this troubled time. There will be a chance to listen to real stories of life on the home front told by the firesides of Stack Square. Channel your inner Ben Hur by piloting a remote-controlled Roman chariot around a miniature Circus Maximus. All charioteers will receive a certificate, and lap times will be added to our giant leaderboard. Get up close and personal to a variety of birds of prey, and find out about their role in medieval falconry. Watch falconry displays throughout the day plus fabulous birds opportunities for supervised handling and photos (extra charges apply). Spend the weekend with Bowlore at Caerphilly Castle learning archery and sword skills, as well as watching weapons displays and demonstrations. Heart-stopping moments guarantee to make this a weekend you will never forget! Two archery shows; a weapons show; have-a-go archery; Sword School; and hands-on weapons and armour display throughout the day. Brother Thomas will tell you all about his life as a monk at Tintern Abbey giving you inside information about the monks’ rituals and responsibilities, the workings of the abbey, his fellow monks, the lay brothers and other ‘less religious’ people. The year is 1189 and the handsome, strong and courageous Lord William Marshal is celebrating his marriage to the lovely Lady Isabel de Clare. Guests are cordially invited to step back into medieval Wales and attend the celebrity couple’s lavish celebrations — to include courtly dances and medieval tournaments galore. 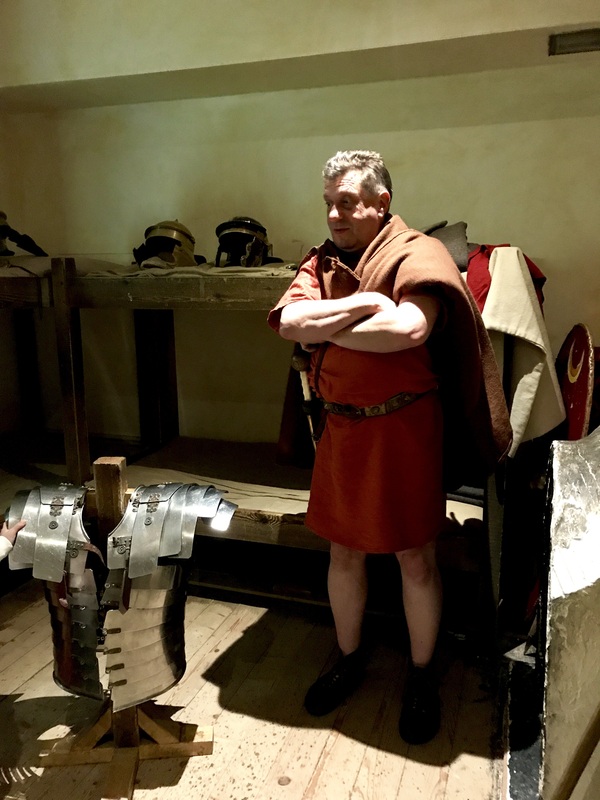 Even brave Roman soldiers needed protection. Make your own shield to take away and find out what else they were used for. Visitors are invited to attend a grand tour of Raglan Castle — the stylish home of Lord William and Lady Anne Herbert. The year is 1462 and the fabulously wealthy couple are keen to show off their impeccable taste in interior design, food and wine. A series of live-action performances will see visitors transported to an aristocratic soiree, where they’ll enjoy everything from medieval wine-tasting to traditional games. 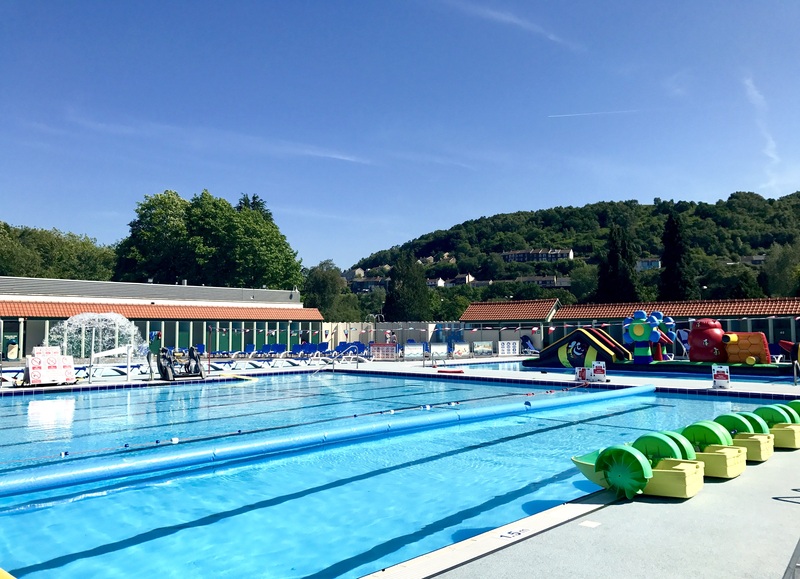 With three pools including a main pool, an activity pool and a splash pool, Lido Ponty offers fantastic swimming opportunities for people of all ages and abilities. For just £2.50 per adult and free for children, visitors can also enjoy everything from fun inflatables to Aqua Scooterz, Aqua Peddlerz and Water Walker. Read our review of Lido Ponty from last year here. Three zones designed for toddlers, juniors and families, with 33 exciting features for children to enjoy including sprays, jets, a tipping water bucket and a tunnel. Read our review here. An exciting new family live science show exploring the amazing stories and science of the environment. Head out on to Tredegar House’s beautiful lake for a kayaking session in partnership with Channel Kayaks. Get out on the water and test your kayaking skills. No experience is necessary and no equipment needed. This is a water-based event so expect to have fun and get splashed. All equipment is provided, including wet suits. Changing rooms will be available on site. Cardiff’s independent board game shop Rules of Play will be taking over Chapter’s tables with board games galore. There’ll be kids’ games, family games, party games, educational games and more. Rules of Play staff will be om hand to explain the rules. Register now to take part in the annual 2K Family Fun Run which takes place just before the Cardiff 10K. Participants can run for any chosen charity. However, as event organisers, Kidney Wales would be grateful for any donations that will go towards helping the charity support more than 10,000 people in Wales. As well as providing better facilities for patients across hospitals in Wales, funds will directly support the lives of children who visit the Children’s Kidney Centre. Children will receive a medal and t-shirt for taking part in the race. A craft activity day inspired by themes and characters from the world of film with Beth Morris Workshops. Sing along to some smash hits produced by Justin Timberlake with onscreen lyrics for the Trolls this summer. After the Bergens invade the bright and colourful Troll Village, Poppy (Kendrick), the happiest Troll ever born, and the overly-cautious curmudgeonly Branch (Timberlake) set off on a journey to rescue her friends. Together, this mismatched duo embarks on a rescue mission full of adventure and mishaps – trying to tolerate each other long enough to get the job done. Warm up your vocal cords and set sail with the sing-along version of Moana with on-screen lyrics so audiences can join in. An adventurous teenager sails out on a daring mission to save her people. During her journey, Moana meets the once-mighty demigod Maui, who guides her in her quest to become a master way-finder.